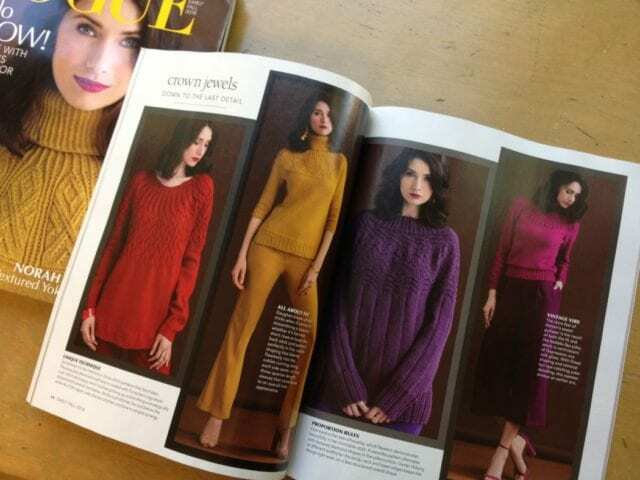 Another magazine showed up this week with a mustard yellow sweater on the cover – must mean fall is coming! 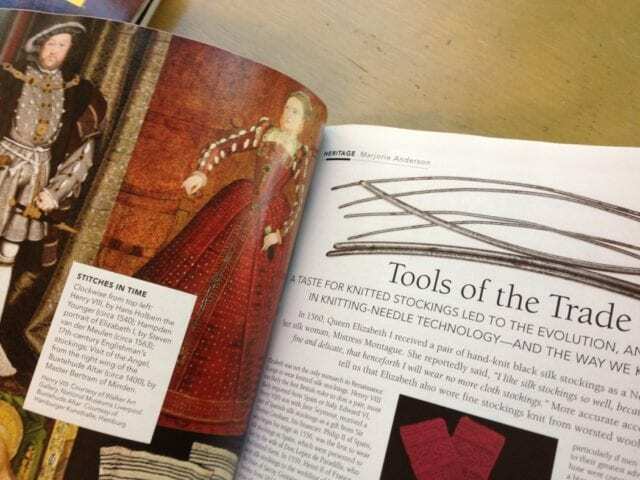 Let’s take a look inside the latest issue of Vogue Knitting. The intricate textured yoke turtleneck on the cover was designed by Norah Gaughan for Kelbourne Woolens Andorra, a sport weight wool and mohair blend. Paging through this issue, I spotted another sweater in a familiar yarn – Malabrigo Dos Tierras, a DK weight blend of merino wool and alpaca. Along with the cozy fall sweaters, you’ll find good reading material, including an article on the history of knit stockings and the development of steel knitting needles for making them. 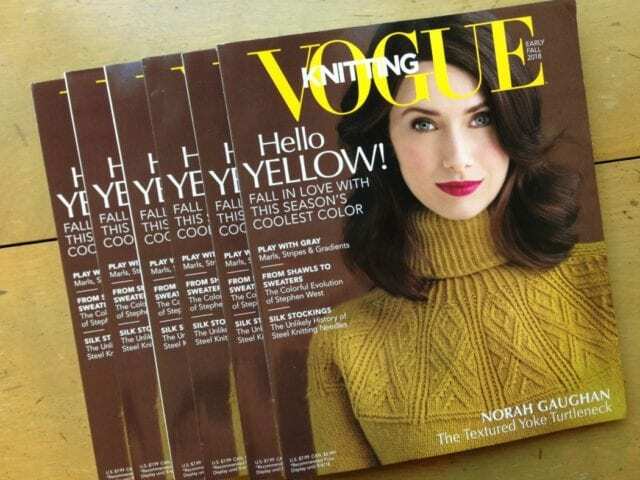 Look for Vogue Knitting on the teacart here at the shop, where the latest books and magazines are gathered!